Beer and bar peanuts have always seemed to pair nicely with one another, but now they have finally been merged into a single drinkable concoction with this cool new Planters Mr. IPA-Nut from Noon Whistle Brewing. 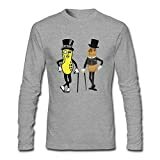 This truly unique beer is crafted brewed from Wakatu and Citra hops along with Planters Peanuts to deliver a citrusy aroma, a hint of honey-roasted peanuts, and a slightly salty aftertaste. Available for a limited time at the Noon Whistle Brewery in Lombard, IL or as 16 oz 4-packs available in select stores across Illinois. 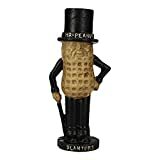 Unfortunately, Mr. Peanut's monocle is not included. 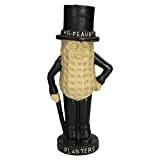 Springbok 500 Piece Puzzle - Just Nuts About Mr. Peanut!